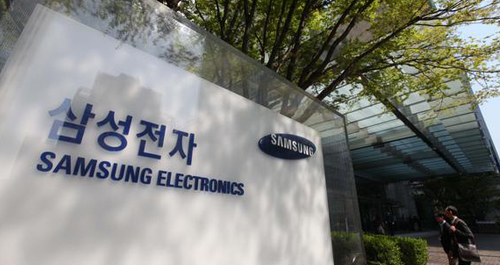 Samsung Electronics’ total patent registration surpass 50,000 in U.S. The total number of patents registered by South Korea’s tech behemoth Samsung Electronics Co. in the United States topped 50,000 last year as the company moves to expand research and development activities on future technologies to stay ahead of its rivals on the global stage. According to multiple industry sources on Sunday, Samsung Electronics has total 128,700 registered patents globally as of the end of last year, up 7.9 percent from a year ago at 119,337. By country, 50,804 patents were registered in the U.S. so far, making up the largest 39.5 percent of the total. The number of total patents registered in the U.S. broke the 50,000 mark for the first time since Samsung Electronics first secured its first patent in the country in 1984. Samsung Electronics registered 25,669 patents in Europe – 19.9 percent of the total – followed by 23,203 patents in Korea (18 percent), 11,709 patents in China (9.1 percent), 7,170 patents in Japan, and 10,145 patents in other countries (7.9 percent). Last year alone, Samsung Electronics registered 6,062 patents in the U.S., breaking the 6,000 threshold for two straight years after 6,072 patents registered in the previous year. The Korean tech giant has remained as the second biggest patent holder in the U.S. after IBM Corp. for the 13th year in a row. The number of patents registered in Korea, however, shrank to 2,055 last year, the smallest since 2,024 patents filed in 2012. The cumulative number of patents in the country reached 23,203 as of the end of last year, down 1,657 from a year earlier. Samsung Electronics said that most of the patents are related to smartphones, smart televisions, memory chips, and system large-scale integration (LSI), the mainstay businesses it has been strategically groomed to win in a future technology race. The company expects holding a large number of patents about future technologies to effectively protect it in any patent disputes. It has secured an extensive patent guard net in key and new businesses such as mobile and semiconductor through patent cross-license partnerships with Google LLC, Nokia Corp., and Qualcomm Inc.
2The global economy due to enter recession: New York Life Investments C..
3Korea has role regionally in ASEAN and bilaterally with Thailand: envo..